I wasn't even half-way through the intro to FPE class when I decided to declare FPE as my major. 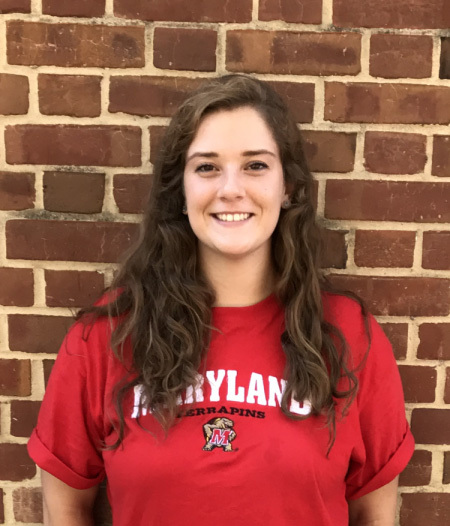 Jessica Doermann, a graduate student in the Department of Fire Protection Engineering (FPE) at the University of Maryland (UMD), has been selected for the UMD Graduate School Outstanding Graduate Assistant Award for 2018. In addition to being a strong student, Doermann leads the FPE ambassador team where she has updated and improved the selection and hiring process. She serves as a Clark School Ambassador, too, and volunteers for the Department and School whenever she can. Doermann is the former President of the Society of Fire Protection Engineers and is currently a live-in firefighter in Hyattsville. Roughly 4,000 UMD grad students serve the campus in an administrative, research, or teaching assistant capacity; thus, the Graduate School has established this award to honor the outstanding contributions that Graduate Assistants provide to the entire University. Doermann was recognized at the Fellowship and Award Celebration on May 8, 2018.